Well, isn’t this exciting? 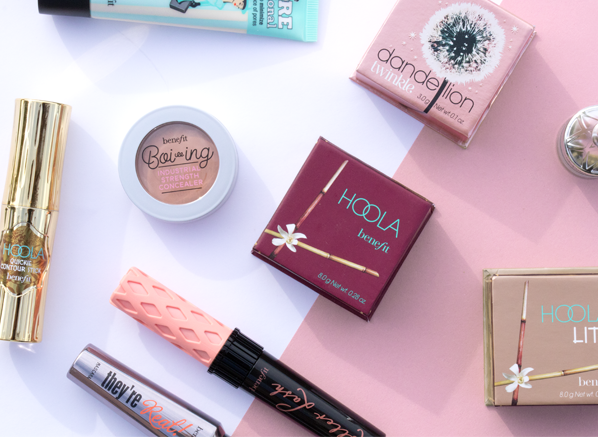 Finally, you can now shop all of your favourite Benefit beauty products at Escentual! To celebrate this amazing beauty news, I’ve compiled an essential list of must-try products for your wishlist. From game-changing mascaras to perfecting brow tools, these sought-after makeup treats have fast become the best-selling icons that we beauty aficionados just can’t live without. I’ll be stunned if you haven’t already heard of this best-selling face primer. A godsend for oily-to-combination skin types whose main concern is shine; its tinted, lightweight gel will smooth your skin, whilst banishing oil and visible pores for a foundation finish that stays looking fresh and flawless. What’s special about the POREfessional Primer is that it doesn’t fill your pores to create the illusion of a clear makeup canvas, it deeply cleanses them; providing your complexion with extra skincare benefits, day after day. How I hear you ask? Through the purifying powers of mushroom extract! Shop the full POREFessional range here. This super strength concealer can literally do no wrong, you name it and Boi-ing will cover it. Loved for its versatility, a little goes a long way with this full coverage concealer. Instantly, dark circles are diffused and imperfections are erased – it really is the best multi-tasking concealer when you need to look your best without having to layer lots of foundation. Looking for a lighter coverage concealer? Try the new Benefit Boi-ing Airbrush Concealer. As you can see from Ceryn’s lashes in the photo above, the they’re Real! mascara is a complete game changer when it comes to lifting your lashes and enhancing your eyes with intense drama. Its unique brush, paired with an award-winning lash-boosting formula picks up even the tiniest of lashes for a false lash effect. 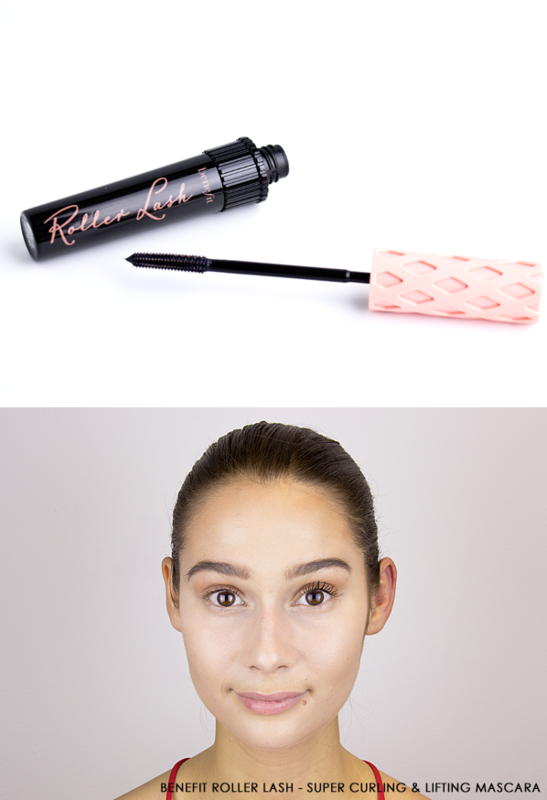 Hailed as a mini-perm for your lashes, Roller Lash’s unique ‘Hook-N-Roll’ brush lets you wave goodbye to your eyelash curler for good! 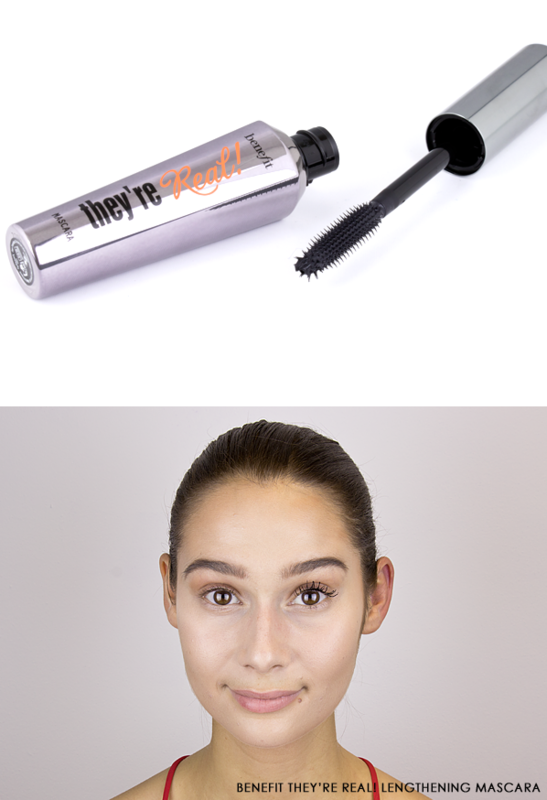 Another award winner in my line-up, as you can see from above, this super-curling mascara adds instant definition and curl to your lashes, creating the appearance of a naturally, full lash with no effort at all. For those that are addicted to highlighters, this one’s for you! Pretty in pink, it’s no wonder that the delicate sheen from the Dandelion Twinkle Powder has everyone head over heels. Whether your go-to-glow style is a subtle sheen or a statement highlight, the delicate shimmering flecks infused in the Dandelion Twinkle Powder are completely buildable. Layer after layer, it gives your skin heavenly radiance, without the overdone finish. Prefer a cream highlight? Give Benefit’s Watts up! a try! Could this be the UK’s favourite bronzer? I think so. The iconic Hoola powder is renowned as the ultimate bronzer for all skin types because of its unique hue that features no orange tones. It’s even so popular that Benefit has extended the Hoola family. 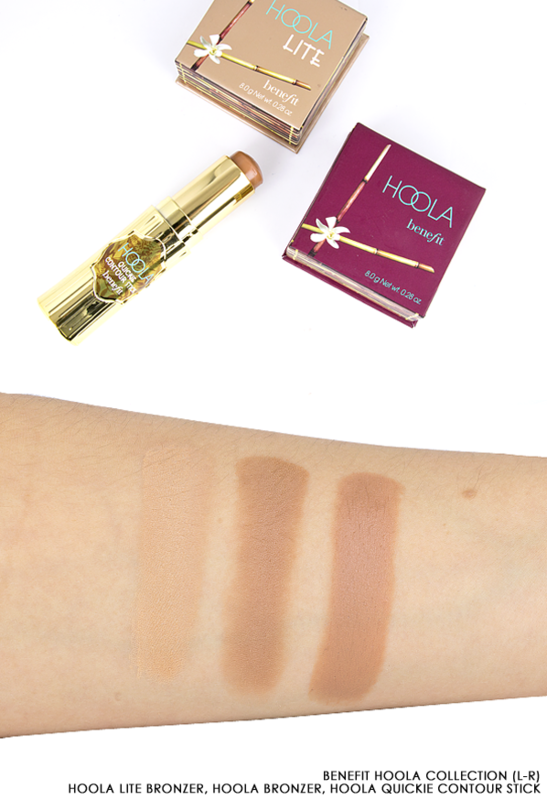 Fairer skins can now enjoy Hoola Lite and contour addicts can now shape and sculpt with the Hoola Quickie Contour Stick. The complete Hoola collection is a must-have bronzing range for glow-seekers that love to look naturally tanned. • Hoola Bronzer: The perfect bronzer and sculpting shade for light-to-medium skin tones who want a matte finish pressed powder. • Hoola Lite: Ideal for a fair to light skin tone, the silky softness of the Hoola Lite Bronzer builds an easy and natural tan in an instant. • Hoola Quickie Contour Stick: This creamy bronze formula glides onto your complexion with ease, blending beautifully into your skin to reveal a subtly, sculpted effect. If creating the perfect brow feels like mission impossible, the Goof-Proof Pencil is just what you need. Mistake-proof and easy to use, Benefit has created a tool that’s loved by artists and amateurs alike. 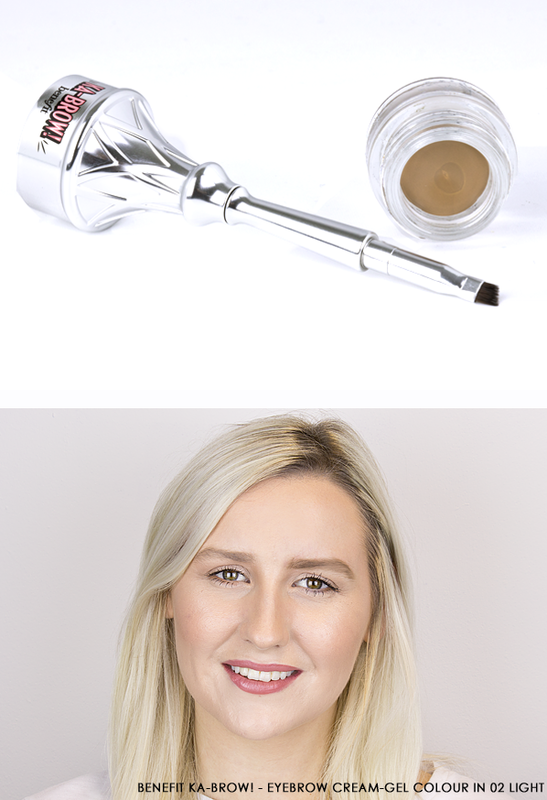 Its slanted crayon lets you subtly sculpt the appearance of brow hairs whilst filling in massively sparse areas for a natural, yet defined look that can’t go wrong. To sculpt the perfect brow shape, Benefit’s KA-BROW! Cream-to-Powder Gel will instantly add shape and drama to your arches. Equipped with a handy angled brush to aid precise application, this buildable brow gel easily fakes the appearance of fuller, more structured brows. 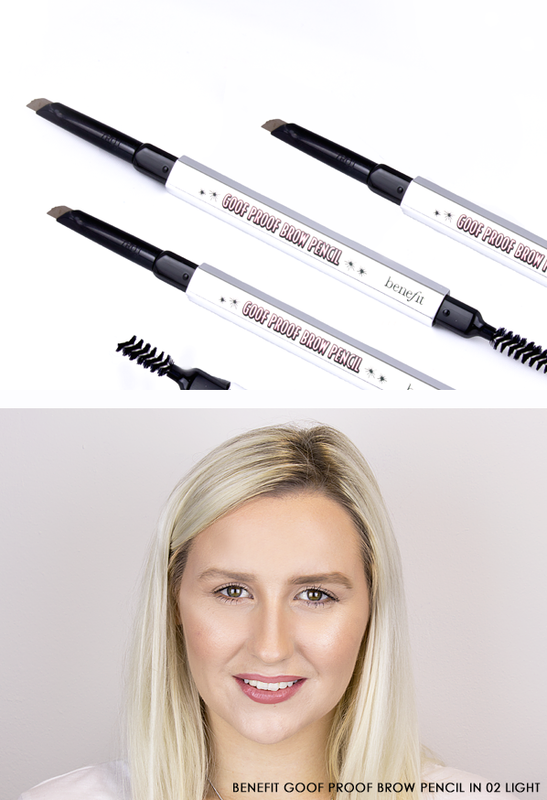 For those that like their brows to look bushier whilst still looking natural, Gimme Brow will instantly create the appearance of fuller, thicker brows. Giving your look texture and realness, Gimme Brow’s tiny brush picks up every brow hair (even the fair ones), coating each individual strand with a slight tint with its nourishing treatment. 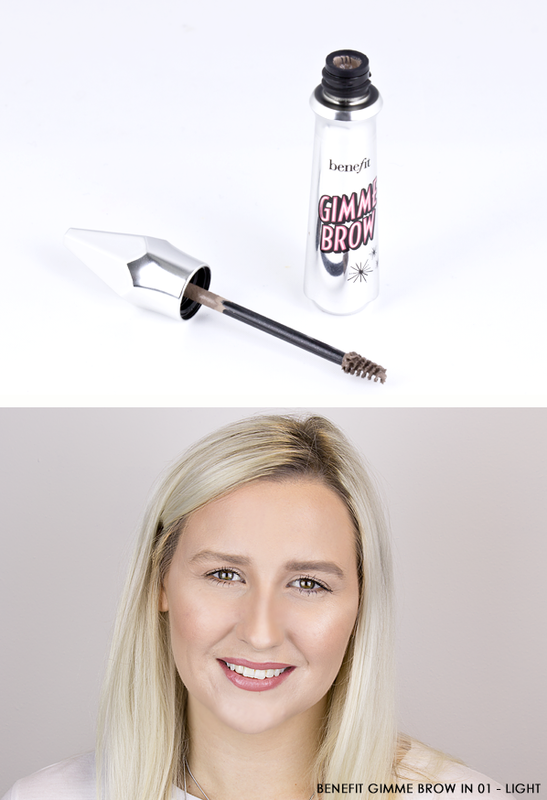 You can use Gimme Brow on its own, or you can also use its bulking formula to finish off your favourite brow look. This teeny-tiny brow tool will take the detail of your brows to the next level. 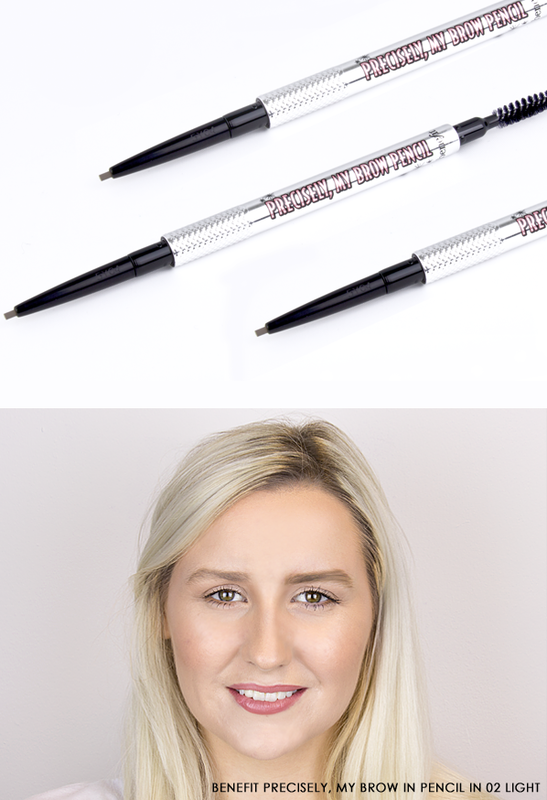 Ideal for creating individual brush hairs and filling in sparse areas, full or bare brows will benefit from the enhanced precision of the Precisely, My Brow Pencil. What’s special about each shade is that Benefit has created each hue to have a natural, soft colour to closely mimic the multi-tonal shades of our brows. You can use the Benefit Brow Shade Finder to find your ideal match. This entry was posted on Monday, September 25th, 2017 at 10:08 am and is filed under Make-up, Special Post, Spotlight On, Tried & Tested. You can follow any responses to this entry through the RSS 2.0 feed. You can skip to the end and leave a response. Pinging is currently not allowed.